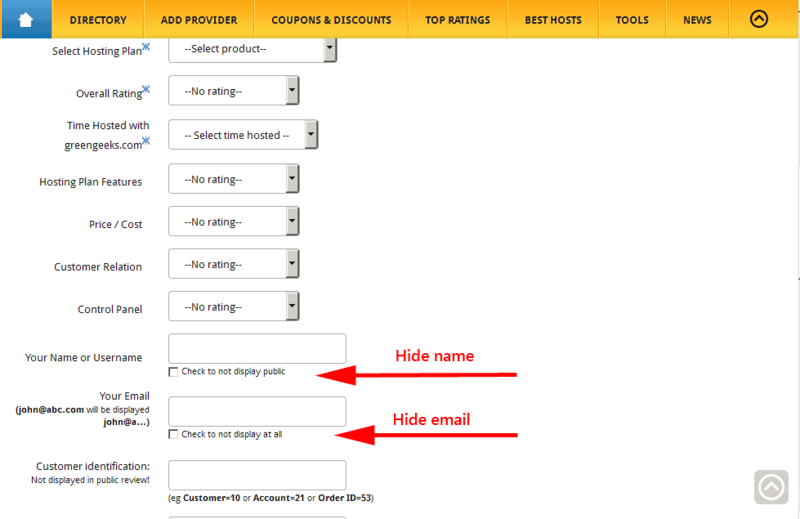 Many visitors and users requested us to completely hide their name or email when submitting a review. Some because of getting indexed in Google with their name, others just want to report an issue without exposing them self and protect their identity. In some cases, the current email obfuscation feature was not enough. So now is fully working a new feature. You can hide your name, your email or both when submitting a review for a hosting company. Basically you have one checkbox for Name/Username and one checkbox for Email which can be used to make your review anonymous. Note: The company representative of the respective brand where you added the review will still be able to view your full info in order to localize you in their system and respond to your issue. For any suggestions, feel free to leave us a comment on our contact page. Web Hosting Top fixes & features. Added country flag images!